The original A10 based Mele Set-Top-Boxes are the start of the sunxi project. These imminently hackable machines were exported by Tom Cubie of Cubieboard fame and these devices kickstarted community development for the Allwinner A10 SoC. There are 8 variants of the Mele A1000. The Mele A1000 has a wedge-like shape whereas the slightly younger A2000 is more square. The A100 uses the mele A2000 square shape, but it lacks a SATA port. The Mele A1000G is a 1GiB RAM version of the Mele A1000, just like the Mele A2000G is a 1GiB version of the Mele A2000. Both come with 8GB NAND. The Mele A100G is a 1GB RAM version of the Mele A100, but keeps the 4GB NAND. Then there is the Mele A3700, which is also a 1GiB version, but it uses a completely different case design with an external wifi antenna, 8GB NAND, and has no SATA port. Last but not least, There are Dual-Core version which is use A20 for it SoC, named A100-DualCore. All motherboards are essentially the same, apart from tiny revisions. The 1GB versions of course have a differing layout due to the doubling of the RAM chips. 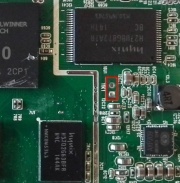 The Mele A100(G) has no SATA connector soldered on, and the LED, IR & power button have moved to the center of the front of the device. The A3700 lacks SATA as well, and seems to make LED, IR and power button available through a connector. For building u-boot, use the "Mele_A1000" target. For building u-boot, use the "Mele_A1000G" target. It seems that the below targets are completely superfluous, and that the Mele A3700 should just use the A1000G target, but with SATA disabled. For building u-boot, use the "Mele_A3700" target. Use the sun4i-a10-a1000.dts device-tree file for the mainline kernel. You can short 11K1 jumper to enter FEL mode. Even though the Mele comes with a blue VGA connector, and blue signifies that this is a DDC enabled VGA connector... And even though there are wires for DDC SCL/SDA all the way to the 8-pin connector on the motherboard... These wires are simply floating. The Mele A1000 and derivates simply are unable to talk to a VGA connected monitor and query it for what modes it supports. The mode will have to be hardcoded. 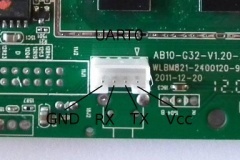 The Mele A2000 (and probably A1000) have a number of pins accessible for GPIO use. Here are some that have been identified. See image for color coded locations. The original DRAM clock in Mele A1000/A2000 is rather conservative (360 Mhz). It is possible to overclock to a higher DRAM speeds modifying the PLL5 factor N register value. Use devmem command or its busybox equivalent in Android. Trivially unscrew 4 or 6 screws, depending on excat model. The Mele A1000 motherboard in a different housing is known as the Mele A2000. The Mele A2000 which lacks SATA is sold as Mele A100. Original Rhombus tech wiki page on hacking the Mele A1000. This page was last modified on 16 June 2017, at 14:51.